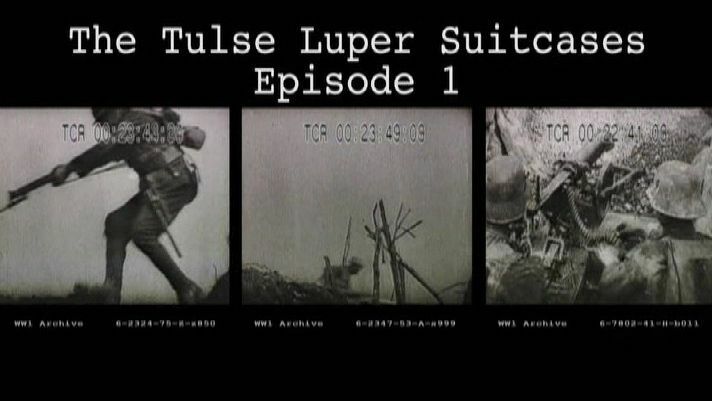 This first film in the Tulse Luper Suitcases Series deals with the adventures of Tulse Luper and his great friend Martino Knockavelli, in three locations, in Newport South Wales, in Moab Utah and in Antwerp Belgium in the two decades before the Second World War. Tulse Luper, as a child, is locked up for several hours by his father in a coalhouse in the backyard of his house for running the gauntlet of a series of gardens to triumphantly sign his name on a crumbling brick wall that collapses around him. This coalhouse prison is Luper¹s first remembered incarceration, and will set a pattern that will see him through many jails and imprisonments throughout the rest of his long life. Whilst in this coalhouse prison Luper packs his first suitcase, the first of 92 suitcases that will be packed by him or on his behalf, in locations all over the world, that when investigated, will display and explain, elucidate and contemplate so many aspects of his life and times. In 1938 in Moab Utah, whilst looking for lost Mormon cities in the desert, Luper is arrested and jailed on a number of charges that will presage many future characteristics of his existence and provide themes for the various adventures of the films. He is charged with trespass and voyeurism, illegal search for uranium, and consorting with a seductive child-bride. His contact with Lephrenic and the Hockmeisters, a Mormon American-German family about to travel to Europe to engage exploitatively in the Second World War, sets up relationships which will go spiralling on throughout Europe for another ten years. In Belgium, in the days leading up to the German invasion of Europe, Luper again meets the Mormon family in Antwerp at the Grand Central Railway Station Hotel, where Luper has been imprisoned for a third time, this time in a hotel bathroom, and by a new jailer, the pro-Fascist stationmaster, van Hoyten, who is seeking personal advancement in the coming new Fascist Europe. Three prisons, coalhouse, desert jailhouse, and railway station, Newport, Moab, Antwerp, three very different prisons across the West Hemisphere, physical enough, but more importantly metaphorical, the prisons of home, the empty desert and restless travelling.